Lately I’ve been working through a slew of the open clusters in the Herschel 400 myself. And I have found that some clusters are dead easy to recognize as distinct bright patches in my 9×50 finder, but at the eyepiece they just sort of dissipate into the background starfield. That plus some fairly transformative rich-field experiences with small refractors (like this one) are working some kind of alchemy on me. In a feat of Freeman-like proportions, my friend and frequent 10MA contributor Terry Nakazono has logged and sketched over 500 DSOs in the past 3 or so years, including 368 galaxies, almost all with scopes under 5″ aperture, mostly from at least somewhat light-polluted skies. He is just religious about dark adaptation, averted vision, and patience. Possibly as a result of all of the above, lately I have had this mad desire to go out to the desert with a 70mm or even a 50mm refractor and spend the whole night observing with only that instrument. It feels like my reverse aperture fever and my deep-sky interests are slowly colliding. That plus a sort of perverse desire to knowingly commit to a “suboptimal” (aperture-wise) observing program just because it sounds fun. 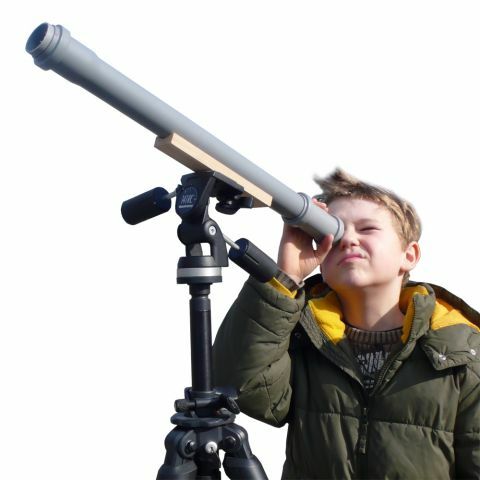 No mater what size telescope you use, it seems that you are looking at objects that are on the limits of what can be seen with that size scope. Once I realized this and read, some years ago now, what Jay Reynolds Freeman had to say about his observations, I came to realize there were way more objects to be seen in a small telescope than I would probably see in my lifetime. I think this is exactly right; I find that with whatever instrument I have to hand, I tend to throw myself up against its limits. Thanks for confirming that I wasn’t just being a rookie when I was making fascinating, at least to me, observations with my Galileoscope when it was the only thing I had to work with!!! A couple of years ago there was a very contentious thread on CN called, “Where does serious aperture begin?” My favorite answer was someone who said that serious observing begins whenever you get serious about observing, and whatever aperture you have to hand therefore becomes serious aperture. Also, Jay Reynolds Freeman did his first Messier survey with 7×50 binos because they were all he had. Finally, as Uncle Rod says, there’s no wrong way to do amateur astronomy. So use whatever you want, however you want, and if anyone tells you you’re doing it wrong, they can get stuffed. I know–very much looking forward to it! I had a lot of fun testing out that Meade 60mm refractor on DSO’s in semi-dark skies over in Banning (near Morongo Bay) when I was writing my CN review for that scope. Now I’m really curious to see what that Galileoscope can do on DSOs, especially with its excellent optics!